The following page is one of a two part series that details the activities of Korean An Yong Bok who confronted Japanese who wrongfully voyaged onto Chosun’s Ulleungdo and Dokdo. To this day, historians argue about exactly what happened during these altercations. Reading further into both Korean and Japanese records, we can come to the conclusion that Japan ceded both Ulleungdo and Dokdo to Korea after studying the geography and historical relationship the countries had with the islands. But first a brief introduction into the area. Above left: An overall map of the Ulleungdo – Dokdo region showing distances to nearest Japanese and Korean landfalls. Above right: A map of Korea’s Ulleungdo Island where Anyongbok and other Korean residents twice protested Japanese trespassing onto Chosun territory. 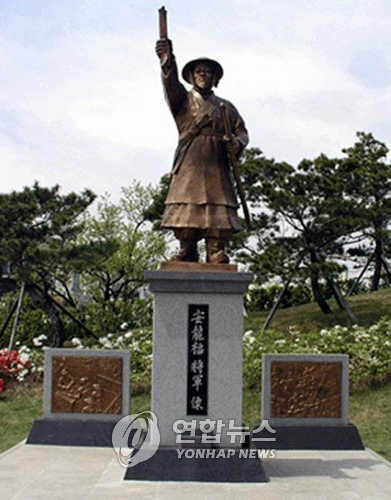 An Yong-bok, who lived in Dongnae, Busan, during the reign of Joseon’s King Sukjong, traveled to Japan twice, in 1693 and 1696, and played a pivotal role in making the Japanese Shogunate government officially recognize Ulleungdo and Dokdo as Joseon territory. In his youth, An Yong-bok joined the navy and served as an oarsman on a ship charged with protecting coastal areas from the raiding Japanese marauders known as waegu. He became fluent in Japanese while living in Busan, as he frequented Waegwan, the settlement for Japanese merchants in Joseon. The first An Yong-bok incident described on this page occurred in the spring of 1693 about 40 Korean fishermen from Busan and Ulsan clashed with the Otani and Murakawa fishermen at Ulleung-do. An Yong-bok, and Pak Eo-dun, (박어둔) were captured and taken to the Yonago in the Tottri clan (modern-day Yonago city and Tottori Prefecture). To the right a stutue in Busan, Korea honors An Yong Bok who twice accompanied Korean citizens to Japan in protest of Japanese trespassing into Ulleungdo and Dokdo. To this day, An Yong Bok’s activities remain a strong expresssion of Korean sovereignty over Dokdo and Ulleungdo dispite Japanese lobbyists attempts to disregard this valuable historical data. During the early 15th century, Joseon had enacted a resettlement policy under which it relocated Ulleungdo residents to other areas to protect them from ongoing Waegu (Japanese Pirate) raids. Japanese fishermen were known to have been fishing off the coast of Ulleungdo since the early 17th century, taking advantage of the absence of people living on the island at that time. To the left, a monument on Korea’s Ulleungdo Island honors the bravery of An Yong Bok. Treated unfairly by his own government, in hindsight, Koreans now realize he was a hero for having the courage to defend Chosun territory. Without the activities of An Yong Bok, it’s quite probable both Ulleungdo and Dokdo would be Japanese islands to this day. An Yong-bok protested to the Shogunate government through the magistrate of Hokishu that Ullungdo (Takeshima) was Choson’s territory, and the magistrate had to ask the Shogunate government for instruction on An’ s case. The Shogunate issued an instruction to bring An and Pak to Nagasaki, where Tsushima authorities took them over and repatriated them to Choson, accompanied by two Tsushima emissaries, Tachibana Saneshige and Tadayo Saemon, in December 1693. These emissaries came not just to return the ordinary drifters, but brought with them an official letter addressed to the Vice Minister of Rites. 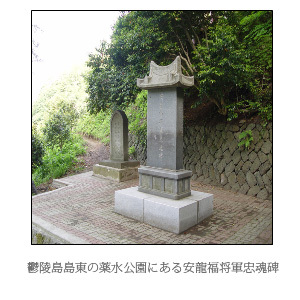 The letter proved to contain important information that claimed Takeshima (Ullungdo) as Japan’s. It said that Koreans frequently came to Japan’s Takeshima (Ullungdo) to engage in fishing and logging and that the two men being turned over at the time were taken hostage by the magistrate of Hokishu from among 40 Koreans found off Takeshima. The letter went on to say that they were sent to Edo and that they were being repatriated. Then, the letter asked the Choson government to issue an ordinance to the out-of-the way fishing harbors, in Korea to keep Koreans from going to Takeshima for fishing. 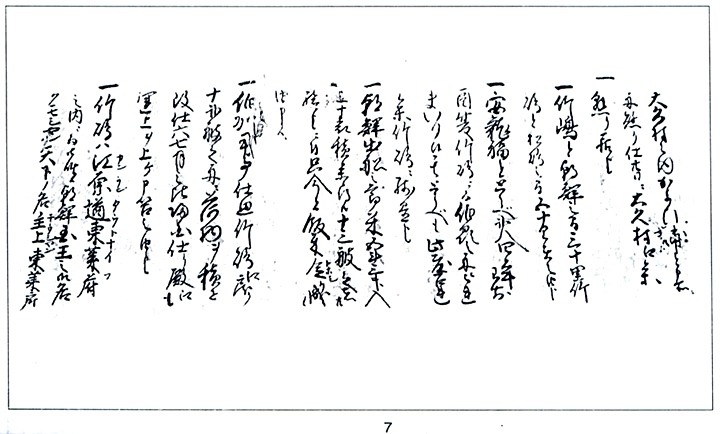 The official letter brought by the Tsushima envoys in behalf of the Shogunate government ma assertions as if Takeshima existed on the East Sea as an island different from Ullungdo and Korean fishing activities at Takeshil (Ullungdo) would be considered illegal. Thus, it eventual claimed Ullungdo as belonging to Japan which had the fishing rights there. After receiving this letter, the Choson government discussed possible counteractions. But, having experienced a ravaging war with Japan, Korea was concerned about a possible clash with Japan and decided to write a Japan stating that Ullungdo was a Korean territory, but fishing by Koreans would be banned off Takeshima. Tsushima raised a suspicion as to why Choson referred to island as “our territory of Ullungdo” and feared that the Shogunate government would heavily punish the lord of Tsushima if the words were not deleted from the Korean letter. The lord of Tsushima asked Choson to state only Takeshima and cross out the words in question. Tachibana Saneshige who came to repatriate An Yong-bok in 1693 was again sent to Choson with an order to negotiate on the revision of the letter. At first, Tachibana hesitated to go to Choson because he knew the “Soron” faction was in power and Nam Ku-man advocated a hard-line policy on Japan and recommended King Sukchong not make a concession on Ullungdo to Japan. Meanwhile, the Choson government reached the conclusion that the Japanese demand to delete the words “our territory of Ullungdo” was aimed at eventual occupation of the island and recommended King Sukchong to punish the Japanese taking a voyage to Ullungdo. Besides, a proposal to set up a garrison on Ullungdo was discussed for fear that regions of Kangnung and Samch’ok would suffer if Japan occupied Ullungdo. Jang Han-sang was made associate commander Samch’ok and sent to Ullungdo to prepare for a garrison setup. ( See Jang Han Sang’s Ulleungdo Report Here ) The center of the discussions were Nam Ku-man and Yun Chi-wan who belonged to the “Soron” faction and took a hardline policy on Japan rather than a policy of appeasement. The negotiations for revision of the Choson’s reply had not been as smooth as Tachibana had predicted. The pictures above are of Korea’s Ulleungdo Island. The image on the left was taken from about 30 kms West of Ulleungdo and the right about 60 kms, en route to Korea’s Pohang. The weather conditions were less than ideal, it being late afternoon and quite dismal. “Ullung is located in the middle of the sea east of Uljin, and the seaway is inconvenient due to the danger of heavy seas. Therefore, the inhabitants have been withdrawn and the island is now vacant, but officials are often dispatched there for search. The mountains and rivers are meandering, and the topography is irregular, becoming wide and narrow. The records about the relics of habitation and local staple products are all written down in the Yoji Sungnam, and they are also put down in the chronicles of successive generations. Fishermen of our country went to that island, they met unexpectedly your countrymen who had trespassed on our boundary arbitrarily they clashed with one another. We can see the second Chosun reply is much tougher compared the first one as it points out that Ullungdo is an island located the middle of the sea east of Uljin in Kangwondo, and Ullungdo and Takeshima are only different in name but in reality are the same island, thus making it clear that Ullungdo belongs to Choson and demanding the Japanese be banned from coming to Ullungdo and fishing there. The lord of Tsushima, So Yoshitsugu, however, rejected Choson’s reply for fear of reprimand by the Shogunate government Protocol officer Yu Chip-il and the interpreter who had came down from Hansong (Seoul) to Tongnae to meet the Japanese envoy had to return as they were unable to fulfil the order of the court to hal the reply to the envoy and entertain him.As Tachibana had expected, on the expurgation of the words from the first letter the negotiations had not been resolved until the next year in June 1695, due to the hardline policy of Choson. So, Tsushima decided to send a renowned theoretician in Kyushu, Suyama Akira (Suyan Shouemon), together with Tachibana, to negotiate the revision of the note. 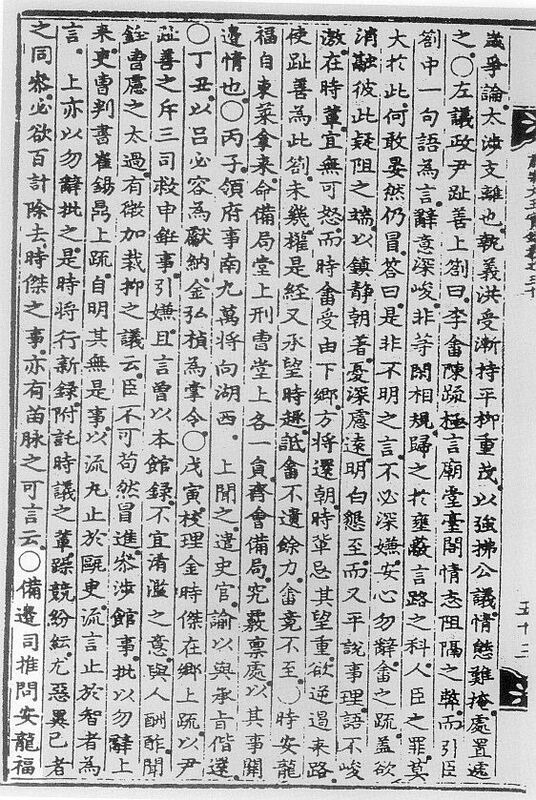 Suyama submitted a note to the Tongnae magistrate asking why Choson was refusing to revise the letter and requested the note be forwarded to the court in May 1695. However, Choson continued rebutting it by citing the old books which showed that Ullungdo had belonged to Choson since the vacant island policy was implemented 82 years before in 1614. As we read further, the Shogunate government finally sent to Hokishu and Tsushima an official letter in the name of the Roju in January 1696. From this we know that the problem of Choson’s territorial ownership of Ullungdo and its fishing rights were confirmed in the official letter of the Shogunate in 1696. Choson planned to send a official translator to Tsushima on a courtesy call in October 1696, while Tsushima intended to make known the Shogunate’s decision on Choson’s ownership of Takeshima (Ullungdo). However, an unexpected incident occurred in the summer o 1696. As the dispute on Ullungdo was not settled down promptly due to Tsushima’s refusal to accept the letter, An Yong-bok decided to personally resolve the problem of the Japanese trespassing and fishing at Ullungdo. A group of 11 Koreans led by An Yong-bok went to Inbashu (present Tottori prefecture) and Hokishu (Tottori prefecture) via Ullungdo and Tokdo (Matsushima), and appealed directly to the Shogunate government that Ullungdo (Takeshima) and Tokdo (Matsushima) were Choson’s territory. This took place when An Yong-bok gathered his fishermen and went to Ullungdo in the spring of 1696 and found some Japanese fishing boats moored at the island. According to a historical record, when An went to Usando (Tokdo) the following day, the Japanese had installed a cauldron and were cooking fish. An Yong-bok destroyed it with sticks and blamed the Japanese, who took the boat to return to their country. Then An Yong-bok and his party went directly to Inbashu via Oki and protested against the Japanese voyage to Ullung and Usan They falsely told Inbashu authorities that they were tax inspector: for Ullung-Usan. They forged a government note of protest and asked Inbashu authorities to transmit it to the Shogunate government so that illegal Japanese crossing to Ullungdo could be banned. A Choson record states that Inbashu authorities pledged to punish those trespassing on Ullungdo and Tokdo and any usurpation by the lord of Tsushima over the question, if and when the Choson government brought such a case or cases to the attention of Japan in an official note. 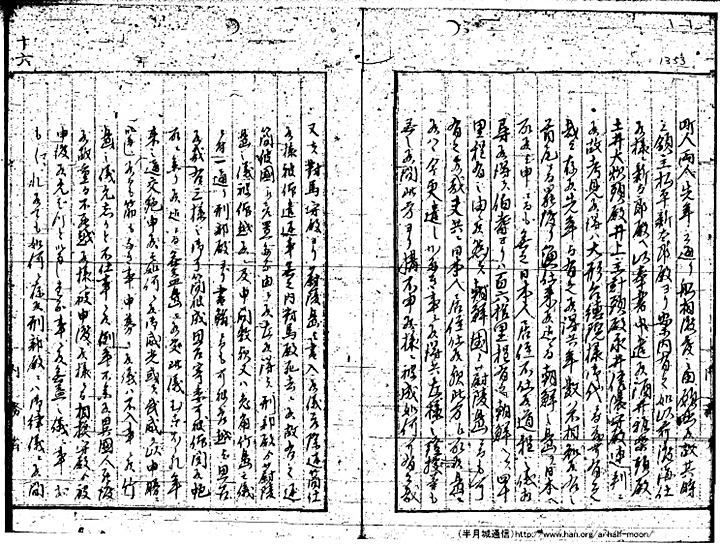 The documents below are the testimony of An Yong-Bok after a confrontation on Ulleungdo Island in the 1690s the images are the actual documents from the Korean archives. Much of this information is also recorded in Japanese documents as well, found here. ( see newly discovered Japanese Murakawa Records of the An Yong Bok Incident ) Up until the until the discovery of the Japanese records in 2005 many Japanese scholars insisted the Anyongbok incident was a fabrication, others denied the incident involved Matsushima but rather another neighbouring island of Ulleungdo. We can see this is wrong. 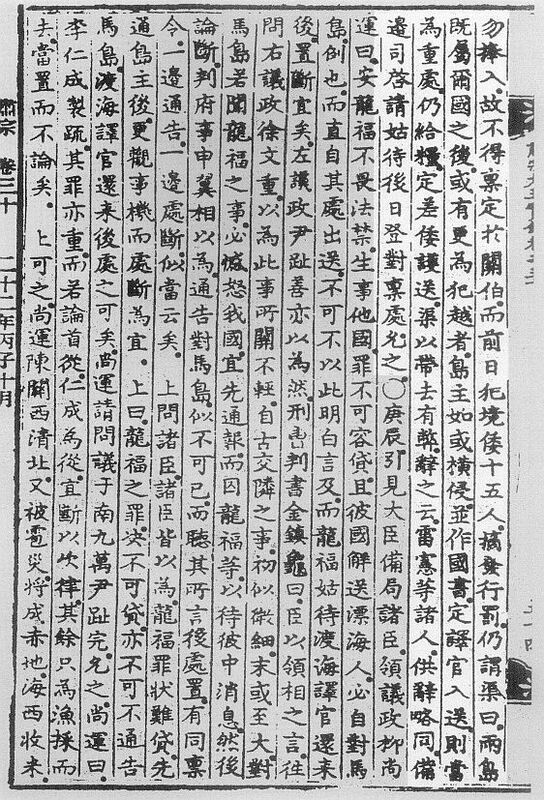 The above images are Korean historical documents detailing the testimony of Anyongbok. These records confirm first, that Usando is Matsushima and second that the Anyongbok incident involved not only Ulleungdo but her neighbour island of Matsushima (Dokdo). Early in the next morning I sailed for Jasando (Japanese name Songdo/Matsushima) and when I got there these Japanese people were stewing some meat oil in large iron pot. I picked up a large piece of wood and hit and broke the pot with it while shouting at them. They started packing their belongings in a boat and sailed off. 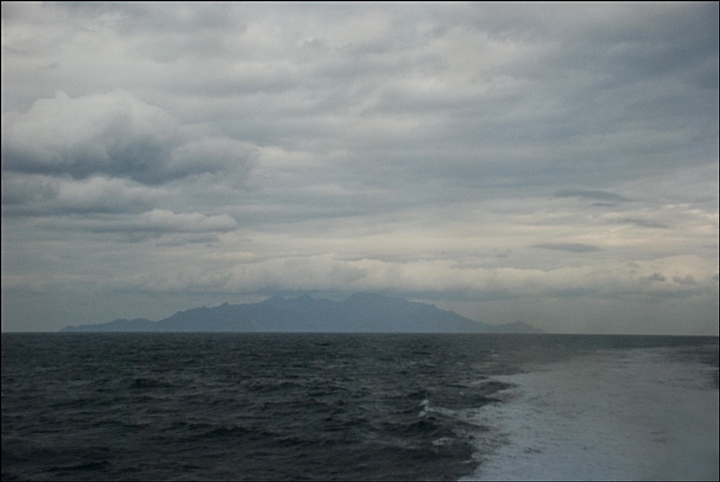 So, I got in my boat and followed them, however I suddenly met with a storm and drifted to Oki Island. There the chief of the islands asked me why I was there. I answered “When I came here only a few years ago, it was determined that Ulleungdo and Jasando are Chosun’s territory, and even an official letter (which was meant to prevent Japanese nationals from fishing these areas) was made by GwanBaek. Still this country has no proper manners and has broken into our territory again. What kind of misconduct is this? To this, he replied that he would certainly send the message to Baekgiju (district), but no word came for a long time. So I got in my boat and sailed to Baekgiju right away in a rage. I was going to introduce myself as a tax inspector for both Ulleungdo and Jasando and have a person notify the main island. But then I was met with some people and horses sent by the main island. Upon saying this, he was going to send some people along to guard us but I rejected saying I didn’t want to impose any inconveniences. Statements by Chung-noe-heon and many others told the same story. To this the King agreed….. This problem was eventually settled by the official letter from the Japanese government in 1696, which says in part that “from the beginning, that island was never taken from Choson by force, an it does not make sense to say that it will be returned to Japan.” It confirmed that Takeshima 竹島 (Ulluengdo) and Matsushima 松島 (Dokdo) were Choson’s inherent territory and that Japan had absolutely no intention of making a dispute over the islands. Tsushima did not want the question of Ullungdo to become further complicated or to lose its lucrative position as intermedia between Korea and Japan. To that end, Tsushima negotiated with the Shogunate not only to persuade An Yong-bok to withdraw his letter delivered through Inbashu, but also to repatriate the Koreans by treating them as castaways. Consequently, the territorial dispute over Ullungdo and Tokdo raised by An Yong-bok and his party was withdrawn, and they were repatriated to Choson as drifters. When Pyon Tong-ji and Song P’an-sa were sent to Tsushima after the settlement, the lord informed them of the Shogunate decision on the Ulleungdo affair, but lodged a protest against An Yong-bok’s contact with Inbashu and demanded Choson not to deal with any local authorities of Japan but Tsushima. Although the Japanese government’s decision was already made in 1696, Choson learned about it belatedly from the report of the mission by the two envoys who returned from Tsushima in 1697 and also from the communication of the Tongnae magistrate. The decision of the Shogunate government towards the end the 17th century clearly confirmed that Choson possessed the territorial and fishing rights of Ulleungdo, but voyage Ullungdo by the coastal inhabitants of the two countries was not completely discontinued. By the mid-19th century, the Japanese began to write as if Takeshima (Ullungdo and Tokdo) were originally Japanese territory but ceded to Choson. The response Tsushima submitted to an inquiry made by the Shogunate government when the smuggling at Ullungdo became an issue in 1837 maintained that since Japan “ceded” Takeshima (Ullungdo) to Choson in 1696, the voyage to that island was prohibited. This statement could raise a misunderstanding that Takeshima was originally a Japanese island but was ceded to Choson and might have distorted the Shogunate government’s knowledge of Ullungdo and Tokdo. This perception finally degenerated into the idea that the cession of Takeshima (Ullung and Tokdo) to Choson was a mistaken decision by the Shogun. government. The “Anyongbok Incident” is the name given to the conflict involving Ulleungdo and Dokdo but it is a misnomer. As both Japanese and Chosun documents show us, around eleven Koreans protested and testified as to exactly what transpired in 1696. 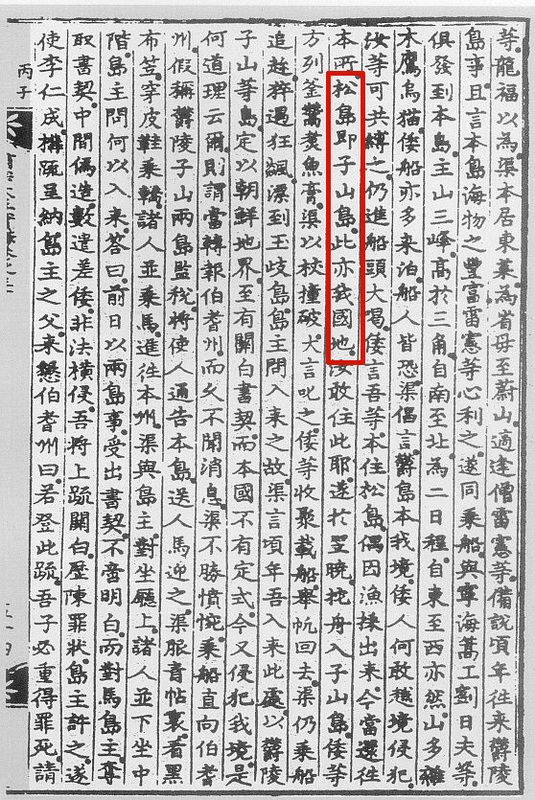 As the Chosun documents reads “..Statements by Chung-noe-heon and many others told the same story…” Some Japanese scholars try to disregard this important historical event by questioning the character of Anyongbok in an attempt to refute what are historical facts recorded by both Japan and Korea. Before the uncovering of Japanese records of the incident in 2005 some Japanese historians argued that the Jasando Anyongbok refered to must have been Ulleungdo’s neighbor island Jukdo but this interpretation doesn’t make sense for a couple reasons. First Jukdo Islet is about 2kms away from Ulleungdo, if indeed these Japanese were trespassing there Anyeongbok would have no need to wait until early the next day to venture when they were ten minutes rowing distance away. Secondly, Jukdo Islet is about 100 meters high of sheer cliffs with no fresh water or sufficent mooring for boats and is quite treacherous. With some of Ulleungdo’s best mooring to be found so close it is not reasonabl to conclude the Japanese would scale this wall to set up camp. To collaborate with these facts, in 2005 documents uncovered in the historical archives of the Murakawa family in Shimane Prefecture more facts were revealed about the events that transpired in 1696. These documents are somewhat more detailed and reveal a couple of facts for the first time. When Anyongbok sailed to Oki Islands he prepared a text map of Gangwan Province that included both Jukdo (Ulleungdo) and Songdo (Dokdo). 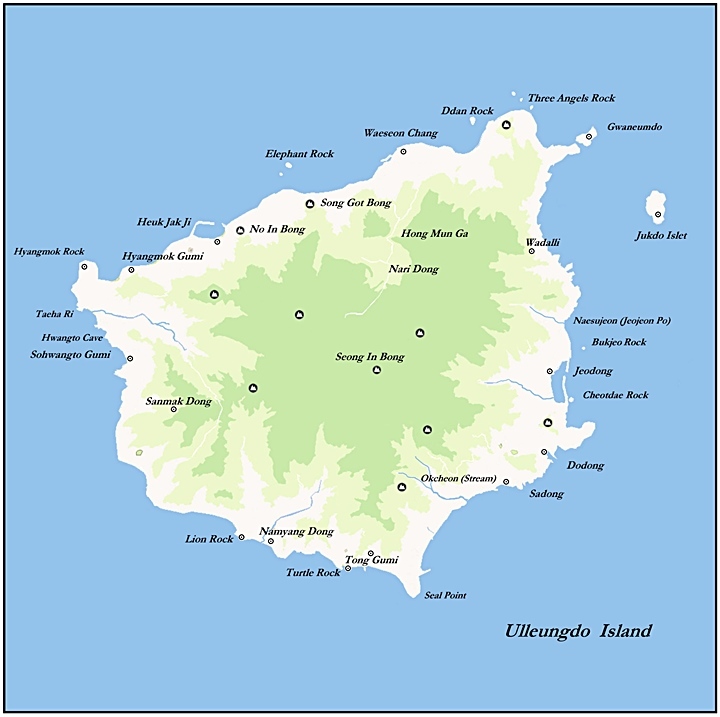 In addition the distance from Ulleungdo and Dokdo was given as 50 ri. This is of course much too far to be Jukdo Islet that is only 2kms away from Ulleungdo. The document to the right was from the 2005, Murakawa Records where Anyongbok himself stated that Jasando (Dokdo) was around 50 ri from Ulleungdo. This is much too far to be any other island than Dokdo. Some Japanese contend that this dispute did not include Dokdo along with Ulleungdo and thus the Japanese were not forbidden to voyage to Dokdo. When one considers the utiliy of Dokdo to the Japanese it becomes clear why these tiny rocks were not much of an issue. To the left is picture of Dokdo Island taken from the West, looking East on a hazy summer day. 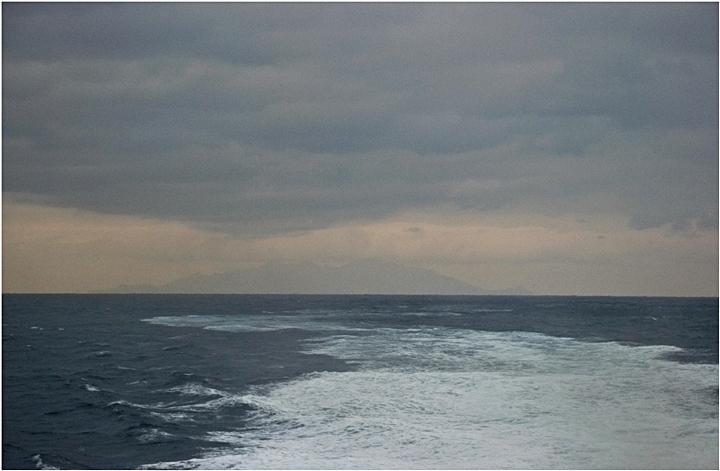 An Yong Bok’s voyages to Japan’s Oki Islands would have placed him easily within visual distance of Dokdo Island. For all purposes, Ulleungdo was the big prize in this conflict. To “cede” this island to Chosun was a great loss to Japan at the time. With the loss of Ulleungdo the Japanese no longer had reason to covet Dokdo as they only used these rocks as a stopover when fishing in Ulleungdo. 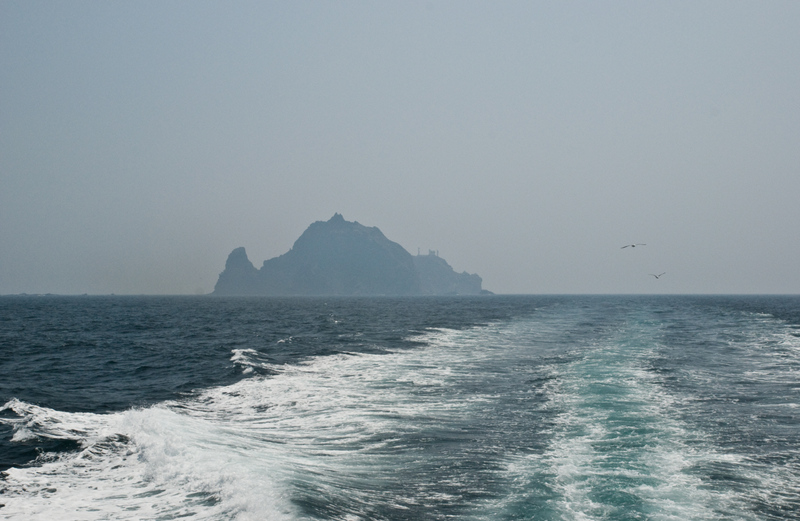 There are no historical records or maps that separate Ulleungdo from Dokdo. On the following page there is an article detailng the Japanese Murakawa Records which describe in detail An Yong Bok’s Party landing on the North shore of Dogo, Nishimura, Japan’s Oki Islands in May of 1696.